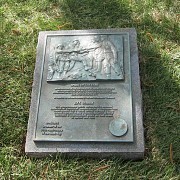 On April 25, 2014 the Ambassador of the Russian Federation to the U.S. Sergey Kislyak laid a wreath to the Memorial Plaque “Spirit of Elbe” erected at the Arlington National Cemetery. At the invitation of the office of the Ministry of Defense at the Embassy of the Russian Federation, Rector of St. Andrew's Cathedral Philadelphia PA, Archpriest Mark Shinn, and Alexander Kozlov, director of St. Andrew’s Museum, were present at the ceremony. 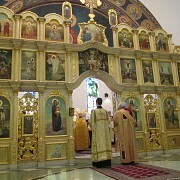 On Bright Saturday, Clergy and faithful of the Patriarchal Parishes in the USA gathered before God’s Holy Altar for a time-honored tradition, to celebrate the Paschal Divine Liturgy together with their Archpastor. 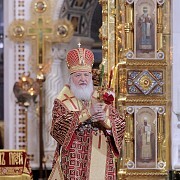 His Eminence Justinian, Archbishop of Naro-Fominsk and Administrator of the Patriarchal Parishes in the USA presided at the triumphant Divine Liturgy at Sts. 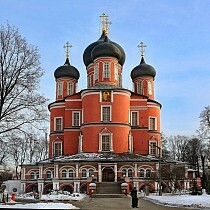 Peter and Paul Cathedral in Passaic NJ. On Bright Friday, April 24, 2014; clergy and laity of the Patriarchal Parishes in the USA arrived at Sts. 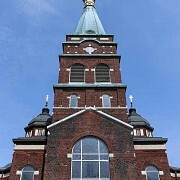 Peter and Paul Cathedral in Passaic NJ, for a Special Convocation. 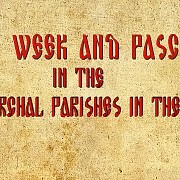 The Official English language website of the Patriarchal Parishes in the USA will be adding photographs of parishes during Great and Holy Week as well as the Feast of the Bright Resurrection of Christ. 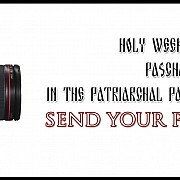 We invite our readers to acquaint themselves with the various celebrations around our Patriarchal Parishes! 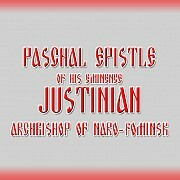 Paschal Epistle of His Eminence Justinian, Archbishop of Naro-Fominsk, Administrator Of Patriarchal Parishes of The Russian Orthodox Church In The USA. On ‘this chosen and holy Day’ when the world ‘that is visible and invisible’ (see: the Canon of Holy Pascha) glorifies the Prince of life and Victor over death, I send my heartfelt greetings to all of you through the Paschal exclamation: CHRIST IS RISEN! This is the day of resurrection. Let us be illumined by the feast. Let us embrace each other. Let us call "brothers" even those that hate us, and forgive all by the resurrection, and so let us cry: Christ is Risen from the Dead! 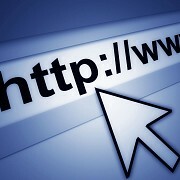 During Bright Week, the editors of the website will be publishing photographs of the Divine Services during Holy Week and Pascha. This is a wonderful opportunity for visitors to the website to become aquatinted with the different celebrations held in our Patriarchal Parishes in the USA. 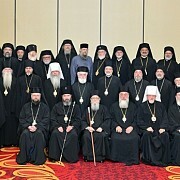 During Great Lent of 2014, the Council of Orthodox Christian Churches of Metro-Detroit, Michigan, continued its long-standing tradition of holding joint Inter-Orthodox Lenten Vespers on Sunday evenings at various metro-Detroit churches on each of the five Sundays of Great Lent. 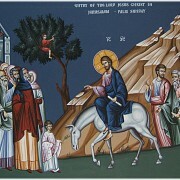 On April 12-13, Clergy and faithful across the Patriarchal Parishes in the USA prayerfully commemorated the Feast of the Entry of our Lord and Savior Jesus Christ into the Holy City of Jerusalem. Tickets are now on sale for the festal banquet being held at Sts. 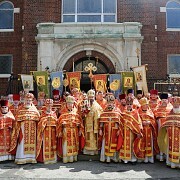 Peter and Paul Cathedral in Passaic NJ at the conclusion of the Hierarchal Divine Liturgy on Bright Saturday, April 26. On Friday, March 21st, 2014, the Annual Lenten Clergy Retreat of the St. John Chrysostom Clergy Brotherhood of Metro-Detroit was held at St. Innocent Orthodox Church in Redford, Michigan. 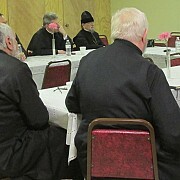 On Tuesday, April 8, a regular meeting of the Bishop's Council of the Patriarchal Parishes in the USA was held in St. Michael the Archangel Church in Philadelphia, PA, presided over by the Administrator of the Patriarchal Parishes in the USA, His Eminence Justinian, Archbishop of Naro-Fominsk. 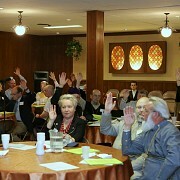 The Official English language website of the Patriarchal Parishes of the USA has officially opened. With the blessing of His Eminence Archbishop Justinian of Naro-Fominsk, Administrator of the Patriarchal Parishes in the USA, this website was created to better suit the needs of the English speaking community of the Patriarchal Parishes and its visitors. Below, our readers can view the official video greeting, from his Eminence Archbishop Justinian to visitors of the new website.